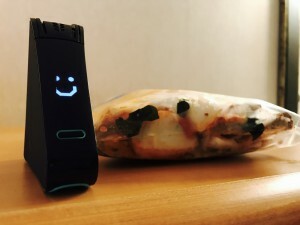 Nima is a portable device that lets you know in about 3 minutes if a food contains gluten. Yup, for real. I recently wrote about an epic road trip my celiac family went on. You can bet that our Nima was first on our packing list. I don’t know about you, but when a server is so confident that they know everything about celiac I immediately assume they know far less. When this happened at a (very nice) restaurant recently, we went for it and tested my husband’s filet. When it tested positive for gluten our server suddenly was willing to learn a bit more. …because we just wanted to be sure. There have been so many times (generally on a weekend when I can’t call a company) that my son has been given something and wondered if he can eat it. Thankfully he only has to wait about 3 minutes to find out. We love Thai food and since it’s easy to make with fish sauce (instead of soy) and rice noodles (instead of wheat) it can be a good gluten free option…that’s if you can be sure that it’s actually only made safely. We had stopped ordering from our favorite local Thai place because we weren’t confident it was a safe choice…until Nima came along. Bring on the Pad Thai! I know our BFF Nima will be with us on our summer trips and backyard barbecues. Thinking about picking one up for yourself? Take advantage of this $25 off with the coupon code “STOWELL” (expires 5/19).